Johne’s disease is a serious wasting disease of goats, which can lead to loss of production and death. 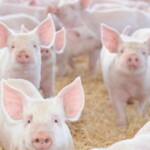 The disease is caused by a bacterium (Mycobacterium paratuberculosis) that lives mainly in animal intestines, but can also survive in the outside environment for several months. Johne’s disease affects animals by causing thickening of the intestinal wall resulting in a reduction in the normal absorption of food. Johne’s disease is seen more often in dairy goats than meat or fibre goats, but all breeds may be infected if they come into contact with the bacterium. Goats acquire infection at an early age through eating contaminated pasture or drinking contaminated milk or water. 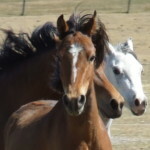 The signs of disease develop slowly and the disease is rarely seen in young animals. 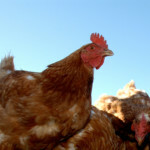 In Australia, the disease occurs more frequently in the southern states. Western Australia (WA) and the Northern Territory (NT) have no known infected goat herds. Of the two recognised strains of Johne’s disease in Australia (cattle strain and sheep strain), the cattle strain is more common in goats and mainly associated with dairy goats. 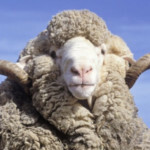 Fibre and meat goats are more likely to be exposed to the sheep strain. The goat industry program is part of the National Johne’s Disease Project (NJDP). 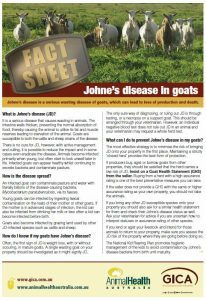 AHA and the Goat Industry Council of Australia have developed a number of tools and produced a poster and fact sheet to help producers understand, avoid and manage the impacts of Johne’s disease JD in their goat herds. Both the fact sheet and the poster have been provided as professional, print-ready PDF files that can be downloaded for free and are formatted to be printed by a professional printing company in a finish and style of your choice or they can simply be printed from the home or office printer. To assist producers identify the potential risk associated with buying goats, the Goat Industry Council of Australia (GICA), in consultation with the state departments of primary industries, has developed a risk rating scale for Johne’s disease. 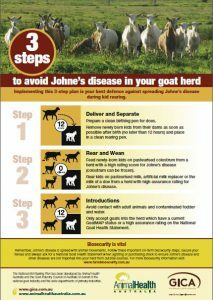 The Australian Johne’s Disease Market Assurance Program for Goat (GoatMAP) is a voluntary quality assurance program for producers to identify and promote animals with a very low risk of having Johne’s disease. 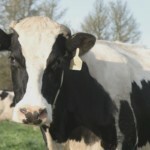 Producers whose herds have entered the GoatMAP have developed a farm biosecurity plan, regularly test livestock, and carefully evaluate and monitor any introductions of livestock to their herd.